'West Of Here': What Happened To The Frontier? 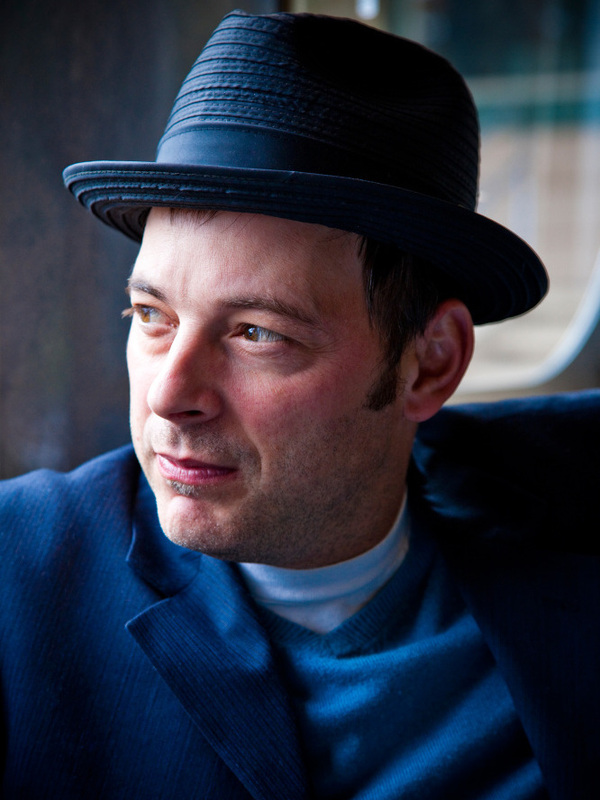 Jonathan Evison's West of Here explores the nature of the frontier. Lynn Neary speaks to the writer about the Pacific Northwest, a fictional town ravaged by development and the hope for the American wilderness. 'West Of Here': What Happened To The Frontier? 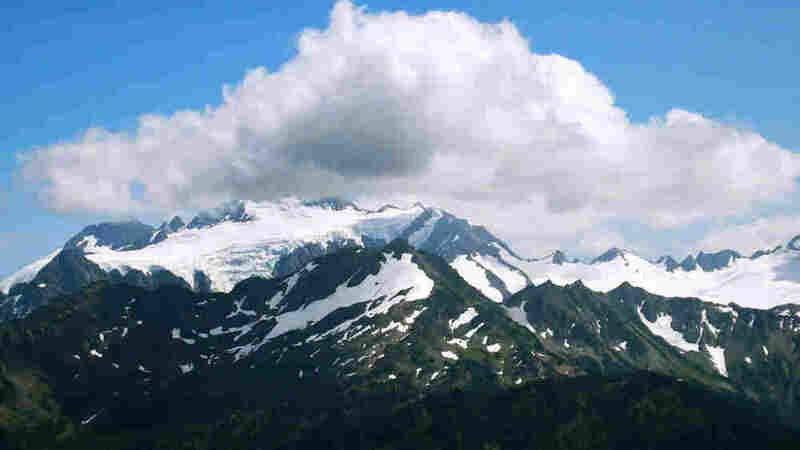 A view of Mount Olympus in Washington state. 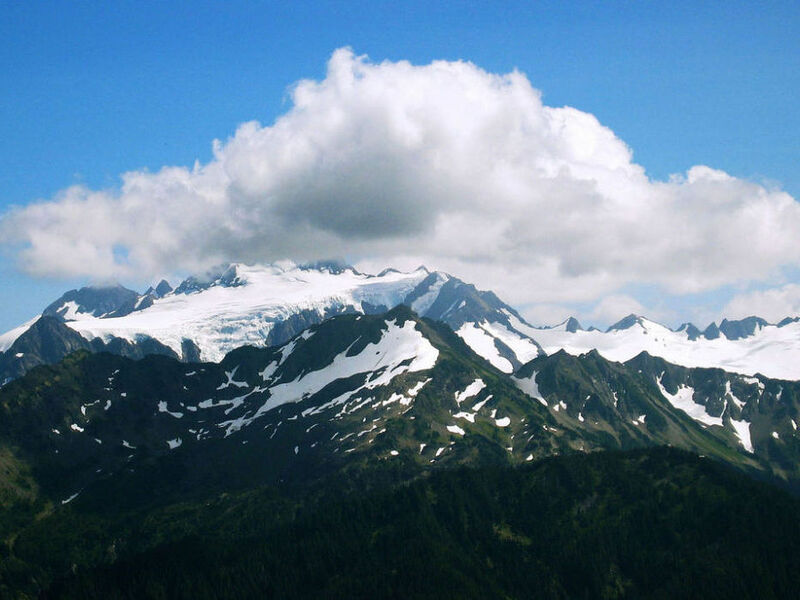 Much of Jonathan Evison's West of Here takes place in the shadow of this 6,900-foot peak. 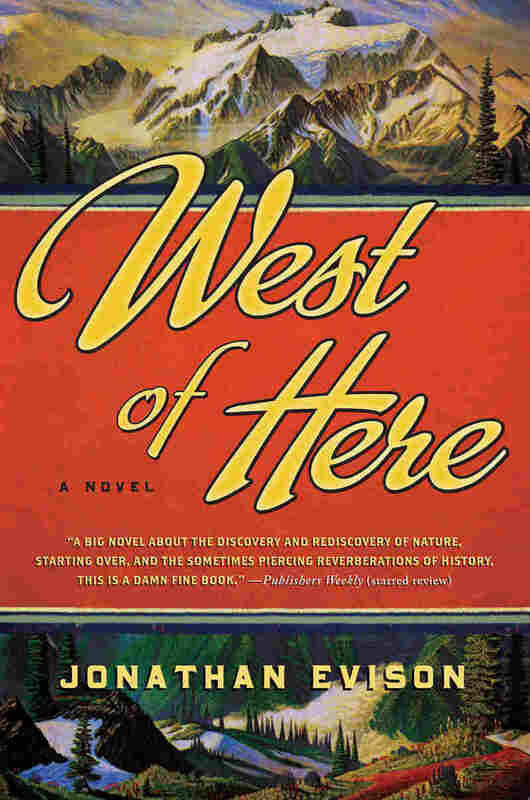 In his new book, West of Here, novelist Jonathan Evison takes readers back to one of the last unexplored territories of the American West: Washington state's Olympic Peninsula. 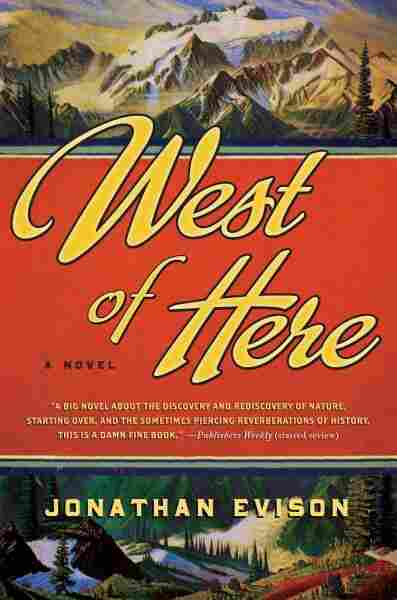 The novel centers on the story of a fictional town in the Pacific Northwest, told from the perspectives of the people who first settled there and their modern-day counterparts, who now have to live with the decisions that their ancestors made. In essence, the book is a conversation between past and present, between hopeful settlers and modern-day strugglers. Evison spent most of his life hiking and camping out on the Olympic Peninsula, so he understands its uncompromising beauty. He is fascinated by its history, by the people who explored the rugged terrain of the Olympic Mountains and built the towns that sit in their shadow — but he says that he didn't want to feel trapped by writing about the area's general history and wanted to dive into more specific stories. "So often when we historicize material we use this big wide-angle lens," he says. "The novel I wanted to write, instead of a wide-angle lens, was a kaleidoscope of clashing and overlapping first-person narratives." Evison began his research by poking around in the local libraries of towns up and down the Olympic Peninsula: "I found that at all these little libraries in Port Angeles and Sequim and Shelton and all these peninsula towns, you can find all these wonderful little tape-bound manuscripts. Some of them are 15 pages long, some of them are 100 pages long, but they're personalized, first-person accounts of frontier living." From these personal accounts, Evison created the cast of characters who first lived in the fictional town of Port Bonita, Wash.: the Native Americans who have already been marginalized in their own homeland; the explorers who came to conquer a wilderness that had long been considered impenetrable; and the settlers who think they can impose their will on this wilderness. One of those settlers, a young man named Ethan Thornburgh, arrives in town on a steamer from Seattle, ready to reinvent himself. He decides to build a dam to secure the future of Port Bonita. I think the book is hopeful, ultimately. We're still forced to reckon with our early mistakes. But I still believe in the old American ethic of putting your shoulder to the wheel and figuring out where we go from here. Evison moves the story back and forth from the past to the present, linking the actions of those who founded the town in the late 19th century with the people who still live there. As the book opens, it is 2006 and Thornburgh's dam, once a source of pride for Port Bonita, is being dismantled. The power harnessed by that dam did make the growth of Port Bonita possible, but the town never rose to greatness — and, says Evison, this type of dam wreaked havoc on the environment. "It killed probably the greatest salmon run in the world," he says. "I mean there used to be ... the annual salmon run up the Elwha was something like half a million salmon. It's down under 4,000 last I checked." Evison's fictional town in the present day still sits on the edge of a pristine wilderness, but it is a worn-out place. The residents of Port Bonita are funny, quirky and a little sad. Where once brave but foolhardy explorers set off to conquer the formidable Olympic Mountains, now an ex-con follows the same trail hoping to find redemption in the wilderness. Two young Native Americans commune over time: one from the past who is thought to have spiritual powers, the other a contemporary teenager strung out on drugs. And a descendant of one of the first settlers in the town holds fast to his belief in the mythical creature sasquatch. Evison says he couldn't write a novel about the Pacific Northwest without including the story of Bigfoot. "I like this idea that there is still something out there," he says. "I want to believe in this idea that there is still something we don't know about lurking in these mountains. Because most of those possibilities are gone. Homesteading is gone. Most of the economic infrastructure that allowed this place to exist in the first place, and the resources, are gutted." The people of Port Bonita, says Evison, have not been left much of a legacy. The dreams of their ancestors have not been fulfilled and for the most part, neither have their own. "The potential was endless and now the people waking up there today have to reconcile their future with their past before they can begin again," he says. "I think the book is hopeful, ultimately. We're still forced to reckon with our early mistakes. But I still believe in the old American ethic of putting your shoulder to the wheel and figuring out where we go from here." In 1889, upon the behest of a public clamoring for adventure, and a press eager to package new discoveries, thirty-four-year-old Arctic explorer, Indian fighter, and rugged individual James Mather was consigned to conquer the last frontier of the Washington Territory, mere days in advance of its statehood. The sum of Mather's orders, as issued by Governor Elisha P. Ferry himself in a champagne toast and roundly endorsed by the expedition's underwriters, were as follows: "Succeed." The vast uncharted interior of the Olympic Peninsula, between the Strait of Juan de Fuca and the rockbound coast of the Pacific, was ripe for discovery. For centuries the region had fueled speculation among seafarers, and for centuries the rugged obstacles it presented discour­aged even the heartiest explorer. Viewed from the strait, as Juan de Fuca allegedly viewed it in 1579, the heart of the peninsula comprised a chaos of snow-clad ranges colliding at odd angles, a bulwark of spiny ridges defending a hulking central range like the jaws of a trap. The high country was marked by gaps so steep and dark that the eye could scarcely penetrate them, and all of this was wrapped tightly about the waist with an impenetrable green blanket of timber. When viewed from Elliot Bay on a clear day, the leeward side of the Olympics presented another dramatic facade: a sheer wall of basalt inclining suddenly and precipitously from the banks of Hood Canal, stretching some hundred miles along the western horizon, so steep in places that snow would not stick to the face of them. Indeed, the Olympics presented to Seattle no less than a mile-high barrier to the unknown. And by 1889, the unknown was fast becoming a finite concept. That Mather chose to launch his expedition in the dead of one of the worst winters on record is less a testament to his poor judg­ment than his determination to be the first in breaching the Olympic wilderness. He was harried from the outset by the fear that someone would beat a trail to his destiny before him, and this fear was not unfounded. Within a year, no fewer than a dozen expeditions would set out to penetrate the Olympic interior. With little data to support him, Mather selected the narrow Elwha River valley as the point of entry for the party's crossing. The river ran flat and shoal at its mouth, and the wooded bottomlands seemed to offer an inviting path through the foothills and over the divide. More­over, the proximity of Port Bonita, just east along the strait, would allow the party a base for their operations during the muddy weeks of trailblazing into the foothills. Mather and his party of five set out from Seattle aboard the steamer Evangel on December 7, 1889, fully outfitted for a six-month expedi­tion, though unprepared for the fanfare that greeted them upon their arrival in Port Bonita. Morse Dock was wrapped in silk bunting, with a dozen coronets sounding "The Spanish Cavalier." Men, women, and dirty-faced children formed parallel lines and watched the parade of trunks emerge from the hold and move serpentine through their midst. Mather himself, a bear of a man, crated a sizable trunk on his shoulder, unaided, gritting a bearded smile as he passed through the crowd. At his heels, untethered, came a pair of big fine bear dogs. Near the end of the line, seeming to Mather out of place, a small native child seized his attention. Boy or girl, Mather was unable to ascertain, but the child, lithe and moonfaced, squinted fiercely with pointed blue eyes as he passed. When he reached the staging area, Mather hefted his trunk onto the growing pile, and before he'd even ventured to get his bearings, was met by a very pregnant woman, with a very earnest handshake, and a frazzled knot of hair atop her head. "It is. And you are?" "Eva Lambert of the Commonwealth Register." Mather glanced past her at the muddy hillside and the ragtag as­sembly of wooden structures riddling the shoreline, then eyed doubt­fully the colorful floppy bow dangling from beneath Eva's shirt collar. "A social register? Here?" "A newspaper, Mr. Mather. The region's only newspaper. And not here, but there, over the hill at the commonwealth." Mather smiled down at her through his formidable red beard. He snuck a glance at her belly pushed tight against her blouse, then an­other at her tiny left hand and saw no band adorning it. Neither look escaped Eva's notice. "No woman, Mr. Mather, should have to wear seven pounds of underwear. Furthermore, marriage is not a career." Mather beamed his amusement down upon her once more, scratch­ing his big shaggy head. "So, then, no hearth and needles for you, is it?" Eva smoothed the cotton blouse over her belly and looked right up into his smiling brown eyes. "It was not my intention to stir your play­ful side, Mr. Mather. I was hoping to ask you some questions." Mather could not ignore the heaviness of her breasts but resisted the impulse to look at them. He looked instead at her jawline, sleek in spite of her condition, and the feline complexity of her carriage. "Ah," he said. "You want answers. Well, if that's what you're after, I'm afraid you're out of luck. I've made an exclusive with the Seattle Press. They ask the questions." "And who else owns your expedition? Who else has designs on our resources?" "I'm afraid those are questions, Miss Lambert." He shifted distract­edly, removing his elbow from its perch, as another parcel was hefted onto the pile. "Sitka," he called out to one of the bear dogs sniffing among the crowd. The dog came zigzagging back and planted herself at his heels, whereupon Mather rested a huge hand on her head and left it there. "Well, then," said Eva brightly. "Perhaps you have some questions for me. Perhaps you'd like to ask me about the commonwealth? Per­haps you'd like to know where our colonists stand on the subject of corporations? After all, the colony is a corporation, albeit not a greedy unsympathetic one, like some." Mather looked about the dock restlessly. The native child, whom he now presumed to be a boy, was still standing nearby, staring at him. "Do they serve whiskey at this colony of yours?" "Buttermilk, perhaps. And eggnog is not out of the question. In any event, I assure you our hotel is superior to anything you'll find here in town." "Ah, well, I'm afraid we've already made arrangements in town." "Well, should you find them lacking anything in the way of refine­ment, please call on us, Mr. Mather — that is, call on me. The col­ony is scarcely a mile from town. We have a theater, you know? And razors." "A theater. Is that so?" "There's a vaudeville running this week that is positively scandal­ous from all reports." "Scandalous, you say?" Rarely had Mather experienced a woman so forward and undaunted. "Perhaps we'll see you there, Mr. Mather. Good day." Without fur­ther ceremony, Eva turned on her heels. Mather watched her backside as she went. She walked with convic­tion but also with grace, soft steps and undulating hips. After a half-dozen steps, she turned. "Mine is the door with the wreath," she called over her shoulder. Soon she was swallowed up by the crowd. Turning to resume his duties, Mather's eyes landed once more on the native boy, who was presently tilting his head sideways as he continued to stare at Mather. Something was amiss with the child; his spastic movements, his broad forehead, his apparent lack of self-awareness. The boy was an imbe­cile. Smiling uneasily, Mather resumed his work. WHAT THE OLYMPIC HOTEL, with its splintered beams and crooked eaves and buckled floors, lacked in refinement, it offered in proxim­ity to the Belvedere just across the muddy way. The Belvedere, for its part, lacked all refinement but offered whiskey in excess, and a venue to conduct interviews. In spite of its high ceilings — the flimsy construction of which did not inspire confidence — the Belvedere was choked with tobacco smoke. The establishment was a hive of activity and chatter when the party arrived in late afternoon. Perhaps a hun­dred men, more than half of them standing, crowded the bar. An in­ventory of their hats alone spoke of the Belvedere's clientele; top hats and coke hats and westerns and cattlemans, homburgs and Dakotas and Sinaloas. Wide-brimmed and narrow-brimmed, tall and squat; of felt and leather and Italian straw. Mather even spotted a lone cavalry hat in their midst. The men beneath them were every bit as dynamic as their haberdashery; clean-faced and stubbled and mustachioed, lean and wide, tall and short, stooping and straight. But every one of them — big or small, wealthy or impoverished — shared an appetite for new possibilities. The same spirit that drew them each to Port Bo­nita in the first place accounted, too, for the palpable air of excitement in the Belvedere, as Mather and his men made their entrance. In his station behind the bar, John Tobin, the Belvedere Man, smiled at his own good fortune. At the behest of said proprietor, a line of stools was vacated. All eyes were on Mather and his men as they approached the bar. "We've been expecting you," said Tobin. "I can only hope we don't disappoint," Mather said, claiming a stool. "The house," said Mather gesturing grandly. When Haywood cocked a dubious brow, Mather patted him firmly on the back. "Not to worry, Charlie. You can thank the Press." Following a round of whiskeys which took nearly a quarter of an hour to procure, Mather and his men, aided by a handful of volun­teers, shuffled several tables about, fashioning a makeshift interview station in the far corner of the bar, where a crush of men began to form. The din of the bar soon proved to be a distraction, so for a small price, Tobin was persuaded to grant Mather use of one of the up­stairs rooms, normally reserved for the carnal pursuits of his patrons. A tired mattress was condemned to a corner, and a desk was moved in from the office. A line of men soon formed up the stairs. For the remainder of the afternoon and deep into the evening, Mather and Haywood conducted interviews. Tobin himself was among the first to volunteer. "Whatever you find beyond those mountains, I hope it ain't more Indians." "Not likely at all," Haywood concurred. As the evening progressed, no less than two dozen young men pleaded their cases to join the expedition. They hailed from Penn­sylvania and Nebraska and Indiana and Ohio; tradesmen, cattlemen, and miners, and even an out-of-work dentist with three fingers on his right hand. Too, there were men who were born and raised in Port Bonita, and New Dungeness, men who'd spent their lives hunting and trapping and logging the hill country from the Elwha to the Hoh. Some of them purported to possess firsthand knowledge of the inte­rior, though invariably upon further inquiry revealed themselves to be ignorant of the mountainous terrain that lay beyond the foothills. And not all of the men were young. A trapper by the name of Lofall, a West Virginian by way of Missouri, the owner of a dilapidated set of teeth and a gray beard of remarkable proportions, bigger in fact than Mather's, claimed to have navigated the Elwha to its point of origin. When pressed for further information, however, Lofall professed to know the circuitous route to the origin of every river and the least resistant path over every range. It was Lofall who would eventually convince Mather that the Elwha was navigable by flatboat, a convic­tion that would greatly alter the course of the expedition. For all his enthusiasm, the trapper could not, however, allay Mather's incredu­lity upon hearing his tallest tale of all. "When I come out onto the bank — like I say, the river is running low and she ain't too wide, it being late summer — I see it there on the other side, howling like the devil himself. Holding two big river rocks and crashing them together like cymbals. At first I figure it for a bear, standing on its hind legs. But I'm telling you, this was no bear. Didn't howl like any bear, that's a fact. And it didn't have a face like no bear. This was half a bear and half a man, God as my witness." "Were you armed?" inquired Haywood. "Yes, I was. And, to be truthful, I can't say why I didn't go for my rifle. I suppose because . . . well, to be perfectly honest, I was scared stiff. Didn't know what exactly I'd be shootin' at." Later, Mather and Haywood would question the Indians about Lo­fall's alleged bear-man, and the Indians invariably smiled knowingly but claimed to know nothing. The Klallam, he learned, were a tribe at odds, having splintered in two tribes, neither of which were to be trusted. The Siwash Klallam, wintering at Hollywood Beach, were said to be drunk and unreliable for the most part, while the Klallam at Jamestown, some twenty miles east along the strait, were said to be religious zealots, blinded by temperance and a hatred for whites. Mather opted to question the Siwash Klallam because of their prox­imity. Their camp was strung out for a half mile or more along the strait east of the harbor, comprising a loosely knit webwork of sagging tents, lean-tos, and odd ménages of shake and tin and canvas that defied classification. Among these habitations, a number of wooden frames had been constructed, festooned with laundry and cured fish carcasses. The gravel shoreline was littered with canoes, heaping from bow to stern with all manner of worldly possessions, from nets to baskets to iron skillets. Fires burned, or rather smoked, in uneven intervals up and down the beach, around which old Klallam women hunched to no purpose, and an occasional drunk was sprawled out. Mather found the Indians to be every bit as forthcoming, if no more helpful, than the whites. An old woman wrapped in at least four shawls told Mather of a central basin awaiting them beyond the di­vide, surrounding a vast alpine lake, into whose chill waters all rivers flowed, an idyllic portrait soon corroborated by a half-dozen Klallam. They told of a wide fertile valley brimming yellow with mountain lilies. A land teeming year-round with elk, deer, and all manner of game. However, it was also noted upon nearly every occasion that the natives dared not venture into this paradise. Most were wary to even speak of the reason why. A Klallam elder calling himself Indian George was finally persuaded to explain the matter of a certain fire-spewing bird god who nested there. "Many years ago, too many to count, the hungry Siwash sent a hunting party deep into the mountains in search of ranging elk," the old man explained. "The hunting was good there. The elk were plenty and offered themselves to the hunters, who were very grateful. But when Thunderbird discovered that the Siwash had entered his home, he grew angry, and he descended screeching from his snowy perch, and swooped down on them, and the beating of his wings uprooted whole forests in front of him. And when he arrived with his deaf­ening caw, the earth heaved. He opened great chasms in the earth, which swallowed the hunters. And Thunderbird dumped mountains and rivers upon the Siwash. And they did not die courageously, our hunters, but begging for their lives. Only a few managed to survive the wrath of Thunderbird, and this they did not manage on their own — they were spared by Thunderbird as messengers to warn the Siwash." Apparently, the message was still alive and well in 1889, though Mather paid no heed to this warning, nor the bulk of the informa­tion he collected at Hollywood Beach, reasoning that the natives were dangerously susceptible to parable and could not be trusted to pro­vide any credible information about the lay of the interior. Mather did, however, find their stories entertaining and judged the Klallam at Hollywood Beach to be in every way superior to the Crees and half-breeds he fought in Manitoba. AFTER TWO DAYS of inquiries, the party found their guide in the person of a twenty-eight-year-old Klallam named Abraham Lincoln Charles. Charles was said by a number of his people to be an excellent hunter, fisherman, and tracker, with an impressive knowledge of the Elwha and the surrounding valleys. It was observed by one elderly Klallam that Abe Charles was "the best hunter of all the Siwash" and that he never got lost, not even in the driving snow. "Even if he doesn't know where he is, he knows where to go. The Little Earths live inside his head." The young Klallam struck an impressive figure. At six foot three, he was nearly Mather's height but leaner and harder. He wore a Macki­naw jacket of Yukon wool and cut his hair short like a white man. Abe Charles was soft-spoken and measured in his delivery, two qualities that never failed to engender confidence in Mather, probably, he was willing to admit, owing to his own vociferous and impulsive manner. Moreover, Abe Charles did not drink. The young Klallam promised to be a welcome addition to the expedition. Upon the eve of the party's initial push into the interior, however, Abraham Lincoln Charles would stealthily pack his bag by the light of the dying fire and steal quietly downriver into the night. Excerpted from West of Here by Jonathan Evison. Copyright 2011 by Jonathan Evison. Published by Algonquin Books. All rights reserved. Reprinted by permission of Algonquin Books.